Peter Larkin was born in the New Forest and works as Philosophy & Literature Librarian at the University of Warwick. His first poetry publication was Enclosures (1983), since which he has published eighteen pamphlets and books of poetry, the most recent being Leaves of Field (Shearsman - see Jacket and Free Verse for samples). A large collection of work from a decade was brought together as Terrain Seed Scarcity (Salt, see Nate Dorward's review). Recent work at: Salt Magazine, "Intercapillary Space", Stride. [#] Hear Larkin read at Archive of the Now, where there is also a fuller introduction and a bibliography. 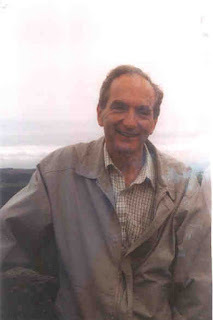 Edmund Hardy: You began Prest Roots in 1987. What were your ideas for the series when you began, and how did these develop? What were the material circumstances – do you have your own press? Peter Larkin: At that time, well before pod publishing, outlets for the sort of British poets I was interested in were limited and often nondescript in their production, compared to some of the distinctive US small presses like Tuumba and Sun & Moon. I also liked the idea of bringing together my two interests – the ‘Cambridge’ poets and pastoral minimalists like Thomas A Clark. At one time J. H. Prynne had proposed a text and negotiations were underway with Ian Hamilton Finlay. I had few skills of my own but some design ideas, so was put in touch with Peter Lloyd (who later worked for Peter Riley’s ‘Poetical Histories’), an imaginative printer who specialised in poetry and used only Monotype (in his garden shed). With Peter Lloyd I was able to work towards a distinctive look for Prest Roots based on ‘good commercial’ (ie obsolete!) rather than bibliophile printing traditions at a reasonable cost. A distinguishing feature of your work is a tendency to write in thin, justified prose blocks, perhaps variously coalescent fields, or walls. How did you move into this form? I’d always found lineation a problem with my free verse – too often the ‘turn’ of the line felt vacuous or affected. At the same time I was interested in the use of prose in French poetry, particularly Ponge and Char, for the way in which it allowed rhythm and emphasis both to extend more broadly and allow all sorts of micro-cells or juxta-positions within the sentence-structure. It also makes it easier to use internal rhymes or echoes which would lie too self-consciously within lineation. My first text Enclosures began as continuous prose, was then chopped into lined sections and then got released back to a tighter prose. Since then, I have always found that short prose blocks (justified to indicate the lack of lineation) enable me to focus on the effects and combinations which matter to me. And there are the verse tail-pieces or pendants. At the back of my mind probably was the unmet claim of stricter forms, which I felt prose respected more in absentia than a rather muddy free verse. I read your introduction to Terrain Seed Scarcity as putting forward a poetics (or "poetic argument") which is an idea of spiritual-political resistance, "And if that offer of belonging (within a manner of scarcity) to a world desired can't be written out as an absence, then it must be opened up to by means of an array of lesser differences. To be insufficently with what is given to us is not to be detached from it: it may be a token by which to experience the unbrokenness of roots (along a specific historical etiolation) through and towards a common landscape." A turn towards a gesture of dedication which can't be fully embedded in a text. But perhaps I conflate ecology and politics? It also seems to me that you're speaking of a "transcendent field" in the sense of individuated aggregates where an idea of plenitude would break it all apart. I derived the idea of ‘scarcity’ directly from ecology as a way of moving aside from the endless debates about absence, but it’s important for me that what is scarce should relate to plenitude on the one hand and to rarity on the other. It seemed to open up a lot of new moves in terms of what is given (on more than one level) while remaining attentive to the conditions (not to say resistances) under which what is given is granted. I also wanted to move away from an absence-enacting text as object to readmit ‘horizons’ of the text more broadly (and here the difference between formal textuality and poetic textures is important): I am interested in how a written text elaborates itself precisely so it can move towards making some sort of ontological offer or promise of relationality. It can’t demonstrate this, it can only gesture towards a broader supplementarity than the Derridean one whereby differing/deferring becomes (in English) a deferring to, a letting something appear/occur through something else. The later Derrida picks up promise again from Heidegger as a sort of primordial yes-saying (but presumably under conditions of its own impossibility!). I might (perversely) describe myself as a ‘mild’ or ‘conservative’ innovative poet, i.e. concerned to reconnect rather than sever links to the non-human and more than human universe - but conceding the radically different conditions. A text works under the terms of ‘scarcity’ because it can’t adequately embed such things but neither is it a formal tool of subversion that unworks itself as a rendition of absence. But I don’t think the scarce is individuated or rarified so much as holding to the tensionality of availing relations across the board – and as such connects delicate (vulnerable) plenitude of the actual to the finite rarity of making it possible (any idea of absence might do the reverse). And of course, where actuality gets ahead like that there can be horizons of hope and transformation. Can you elaborate on what you mean by "an absence-enacting text as object" and give an example? I had Blanchot at the back of my mind while using that phrase. I don’t think any text can be reduced to a ‘formal tool’ except hypothetically, so I was gesturing against a tendency rather than diagnosing a condition. And ‘absence’ isn’t simply a matter of negation but can be a path of attentiveness for some writers as in the beautifully radiant poetry of Gustaf Sobin. Blanchot himself regarded any literary text that set out to embody its own unmaking overtly as self-defeating. And of course there are just other things texts do, they are layered by more than sheer textuality: they are seductive or magical and eke out their own substance from the reader’s body. That "path of attentiveness" – does it range for (or in Sobin's case keep arrowing closer, closer towards) that which you elsewhere call an "indeterminate reserve not identical to the nihil"? A movement deliberate but undirected? Speaking of what is given opens up ideas of the originary and of the "closural", which then come into play in your thinking of a site or place, where the given has an edge or horizon. How does this relate to a text which works towards a form of "ontological offer or promise of relationality"? Is it also a poetics of dedication? We are getting close to a poetics of Romantic sublimity here! ‘Closural’ of course is not the same as closure, just as ‘originary’ offers a different take on origin, for me an origin which accompanies rather than being a teleological monument. But what accompanies also offers horizons of difference and that is a matter of relation, a relation with, if you like, what it ‘is’ that gives us to be ourselves but is not ourselves. The closural is not so much about conclusion as about consummation – and I was deeply struck by Gillian Rose’s insistence on an ontological consummation. For me that stays at the horizon, not one of enigmatic deferral, but as an attracting or charged mysteriousness that has already offered a relation in order to be set off as a margin. It’s a commonplace analysis to see horizon as endlessly recessive, but I prefer to think of it as the outlook of relationship under conditions of scarcity, a way of being present in a contributory way. But this weakness is simultaneously a haunting rarity, so that for my poetry seeking for horizon is not a matter of virtuosity or over-extendedness (a sort of self-conscious etiolation) but only possible at all, only writable, in terms of a poetics of dedication. It’s perhaps what converts site to place (to use Edward Casey’s desynonymization): a place is a site plus its dedicational horizon – that’s what gives it bounds but frees up barriers. How might scarcity relate to asceticism – to the grounds for "aspirational belonging"? You mention that scarcity "touches on a theme in spirituality which the fifth-century monk John Cassian called grand poverty". Can you expand on how it does? I only own one book by John Cassian (his ‘Institutes’) which I haven’t got round to reading yet. I forget now where I first came across references to him. He spent time with the Egyptian Desert Fathers but finished up in France. ‘Grand’ can be read as expansive or magnanimous (almost an image of the desert itself) and I would read the phrase as an intuition of joyous nurture from within a basis of dependence and vulnerability (so rather close to a current ecological sense of values). But I think there is a feeling of vast givens of the real being affirmed by means of a delicate membrane of contact, so we could be not too far from the modern notion of horizons. I would also want to read ‘poverty’ not just as spiritual humility but as a damaged membrane, i.e. something which also touches on scarcity, a poverty of poverty if you will, at once stranded but standing on a shore. You speak of poetry as "an exploration of what must not be allowed to be lost, even if the ground of that reappearance cannot be secured". This seems like a poetics of distributed sense, explored but never staked? How does your idea of scarcity become a writing practice? I think of poetry as open to relations which can’t be secured out of its own wilful fabric. It may have to encounter two resistances: transcendence itself as some sort of horizon of reconciliation but which can’t be conferred on the finite, though the finite still depends on it (splinters before it) as its sole gesture of redemption (your question put a version of Benjamin into my head, so I’m thinking in his terms); also that gesture (of being open to a consummation) may ricochet or make the edges of our world even brittler than they need be: such a vulnerability (with its self-calculations) can’t be sanitized. There’s a sort of scarcity of available relationality in that (where scarcity can be seen at work in the embrittlement). Scarcity as a practice seems to oscillate between two poles for me: on the one hand I don’t write from a blank page but have to collect and knead together a lot of prior material, most of which has no organic connection with the direction of my writing; on the other, the ‘too little’ is also a ‘too much’ just as it eludes any self-grounding of its own and so has to have recourse to such gestures as promise, offer, dedication etc which are right on the margins of how any materia poetica can sustain itself. Scarcity eludes any broader sense of distribution in that way: its poverty is what gathers and chafes at the margins, indicating a margin but too weak to substitute for it in any sort of ‘turning round’ that might pass for distribution again. What kind of prior material? Are these often technical works? What do you look for there? Is there a way in which these prior materials map onto something different? The prior material might be a bouncing off/re-composing of other poetry (Sobin always a rich mine for this, and so was Coolidge for a long time) or phrases (often reorganised or distorted) from all sorts of fragmentary discourses glimpsed via Google or various data-bases. They begin by being very different or quite unrelated (though of course I look in forestry sources, but also computer technology, engineering, medicine, even dentistry!) but then can be recognised as resonating in terms of the root metaphor of a particular text I’m working on. So there is no concern to keep this material in a raw state – if anything I move from a postmodern textual vagabondage back to late modernism, by way of a romantic naturalism with symbolic overtones! Coolidge's "Oflengths": The preposition as significant as verb or noun, presenting a world of relation--of it, on it, in it, between or among--here landscapes of particular situations, precisely centered on how we are situated. Has Zukofsky interested you? Was it that Coolidge's forms came to undertruss your own? I got very excited by Zukofsky in the early 80’s and came to feel that if Hopkins had become the supreme ear for the 19th century, here was a comparably ingenious (though drier) music for the 20th. I did write some short poems very consciously influenced by Zuk about that time but most didn’t get published. I was never quite so close to Coolidge in that way, but admired his verbal textures enormously – meaning by that the combinations and juxtapositions of inserted (and extractable) words rather than the sound pulses as such. So his texts were rich mines for me for discovering ways of building my own texts, usually quite remote from Coolidge’s own sources in every other way. I’d always felt prepositions were deeply significant (and symptomatically variable) but that probably arose from a variety of sources, including later Heidegger. One work, 'Landscape with Figures Afield' (1998), "bouncing" off John Dixon Hunt's The Figure in the Landscape, seems to present – but are they? – sententiae which return to changing calculations of a naturalness, opening and opening upon (gardening)? I read an affinity with Lisa Robertson's work here (particularly Debbie: An Epic and the essays from the Office for Soft Architecture). Some of my texts were never conscious designs as such (the Wang Wei poems are another example) but simply coalesced out of disparate or vagrant notes arising from reading something (and seeing new combinatorial patterns for the words on the page but which stayed within the horizon of the book). Not long before the material that became ‘Landscape with Figures Afield’ began to appear I had attended a reading which Thomas A Clark had given at Warwick, and I was impressed by (and rather envious of) the rapport his work had with the audience. So ‘Landscape’ became a half-conscious tribute to pastoral minimalism, but also traces my differences from it and lack of entrances into it. The tone of ‘sententiae’ is maintained and much of it is a reworking of source-quotes from Dixon Hunt’s book. A friend said of my closing passage ‘Tom Clark would never have written that’ – but in fact it was a reworking of a famous Shaftesbury dictum. I admire Lisa Robertson’s The Weather enormously and wrote an unpublished essay on her work a couple of years ago but I’m not sure her writing feeds into my own any more directly than that, apart from sharing perhaps similar ways of gathering and ‘tasking’ the material. To take one of these pieces: "A retentive mind out of sorts distinguishes no varieties of moss." This recalls one of Pope's Epistles, "Grant but as many sorts of mind, as Moss", turning it to express the opening-closing of mind? I forget now the actual source of that, but bits of Evelyn, Pope and Shaftesbury crop up frequently. The tone is also pseudo-inscriptional (not as pointed as with Hamilton-Finlay) but rather as if that particular tape had been left running. Which is what happens anyway when we look back at the 18th century - we over-reach it but are afraid we have never really grasped what it was trying to reveal to us. So the writing fails to be truly minimal in spirit but offers a chastened overload, diminished but not subversive. This must have something to do with having been born in, and grown up near, the New Forest. I always wanted to write about landscapes and their predicaments and this gradually homed in on trees. Not so much continuous forest as smaller starker plantations (never wildwood) always seen from the outside in but offering the possibility of a different kind of (covered) space. Also related is the plea that finitude is not nihilist (in the crude sense) and so can speak to a possibility of shelter and even some sort of nesting within a broader giving-onto of the finite, i.e. what is sheltered transmits a more vital access to margins than do the affronts of desertification. To make desert is not the same as being in a desert – the latter has a poverty (see Cassian) which covers it (as in trees). Which suggests my next question, Why arboreal plantations? Perhaps I have been heading off being accused of a nostalgia for primeval forest, plus the simple fact there is almost no wildwood in Britain (though recent research has been finding some unsuspected survivals). I was also afraid that I might become over-associated with a sort of Heideggerian cult of remote fastnesses (though I think most of the Black Forest is also plantations). Of course, Heidegger’s opposition to technology was anything but un-nuanced, though he probably had a practical dislike of it. Plantations are ‘scarcer’ in the sense they have unremote origins, are in large part human constructs, and have no guaranteed future. They are less than ideal starting-points, being already internal to the ontic world of dominance and consumption, but for all that they have strong reserves at times escaping or re-setting human command: they are shelters where we do not live, dependent on the demands we make by how we live. Given the element of the artificial, there is paradoxically an even sharper ‘edge’ to these trees since such phalanxes come to an abrupt halt in places, are demarcation-riven, but that can be read by the poetry in a more negotiatory way, perhaps even offering a degree of un-innocent (because already harmed) redemption. We aren’t wholly responsible for these trees after all, and so how they respond in the poetry isn’t simply what we might become in them. The thrownness of this predicament might be recast as an offering (understood as weaker but more insistent than any resolution). Do you have a particular idea of a preface or of prefatory material? Your prefaces seem to have very distinct ways of resonating within the sequences to come, wedging themselves forward. They are of course mainly conventional ‘afterwords’, mostly written after a particular sequence was completed. But they get taken up into an ancillary rhetoric that does feel anticipatory. I was distressed to find that I was being read (when read at all) as a sort of pastoral variant of Language Poetry, whereas I felt quite precise textures or tanglewoods of argument were being offered the reader – precise in the sense that there was a specific theme or problem (often hovering round a root metaphor) by which the text explored its resources. As such, I wanted to share this starting-point with the reader, and clear away in part, if I could, any more generic sense of difficulty or obscurity. It was also intended as a tribute to David Jones and his elaborate introductions (fine pieces of writing in their own right) and was part of a conscious turning away from a more deliberate Prynnite reticence within myself. This is especially important in pieces like ‘Whitefield in Wild Wheel’ or ‘Leaves of Field’ where a particular heuristic idea drives the poetry. At times, I have incorporated material intended for the poetry itself into the preface (as in ‘Rings Resting the Circuit’), and quite recently in the not yet published ‘At Wall with the Approach of Trees’ I have used preface-type material simply as one section of the poem itself (the only indicator is that the prose paragraphs are longer than usual). Perhaps there's a relation between logos and liturgy (the latter as a laos ergon, work of the people, plantation....) in Jones' work which is also one which you address? I feel very happy with the benign shadow of the Welsh praise-tradition which feeds into my work via Hopkins and Jones himself. I have also been writing recently on Coleridge’s ‘Ancient Mariner’ where the Mariner right at the end desires to walk out of his compulsive narrative repetition to participate in a procession to the kirk, to enter into a liturgical revoicing of memory. In Coleridge’s poem, that is no more than a wish. I like very much Catherine Pickstock’s idea that the origin of language as breath is liturgy, from which it both continues and dies away into as pulse. But still, we only encounter such a language as it has already embrittled itself in representation, so that now it needs to be cast onward, at once entangled (in a cast) but able to be distinctively scarce before itself, i.e. still able to draw breath before horizons. In your 'Rings Resting the Circuit' (The Gig, 2004) you centre the poems and also continually use gaps. It seems like a dream work to me, these rings creating and absorbing their own objects, indiscernible and unattributable. How did you get started on this idea of resting circles? The whole idea of repose is problematic if not pejorative in our intellectual culture, so I wanted to find ways of keeping it in view in the midst of where it shouldn’t have any import. I was also fascinated with the idea of a ring being closed on the horizontal plane (if seen in landscape terms), but open on the vertical. Of course, it’s literally open to the sky, but it’s also open to the ground in the sense of ‘resting’ on it, not being rooted in it. And that was the other main idea: how these rings are centres, arenas, foci, but can only be in the landscape they rechart by lying on it, not in any other way impinging on it. I realised what the poetry was concerned with was just this, and so didn’t ‘know’ whether it was talking about stone circles (yet alone crop circles) or whatever. This does give a dreamlike quality, even though the material is very strictly produced out of this basic scenario. The ‘blank’ centre of the rings is also important, at once scarce or unprivileged but pressured by the ring formation itself to be a spot on the vertical. There is also some play with what is inside and what out (rather reminiscent of my text ‘Enclosures’ of 1983), so that what the ring ‘rests’ in/out of is a compressed projection more expansive than the surrounding under-characterisable space. Out of this tension (I now recall) a re-engagement with horizon is suggested. Not a poem I ever go back to much now, as it was written during a very unrestful moment of my life, and the writing has a tortuous elaboration as a result. I was unsure about the shape of the poems, and I only hit upon the idea of centering them (but with a lop-sided gap in the text) at a very late stage. Was this too emblematic? I’ve never wanted to use that shape again since. The sentences in your prose poems often seem to rest on a presupposition; the syntax you employ constantly liberates as it captures. Is this a grammatical style, and to what end? You may be thinking of all those colons! Perhaps I could characterise my syntax as the reversal of an inherited drift or disconnection, but one that revises rather than restores, a shift against rift (so all those corrective negatives) which would seem to intensify a textual labyrinth rather than resolving it, but this is not offered as any privileged outcome. Rather, it is a form of textual speculation which doesn’t prize its own complexity but seeks to bring a set of quandaries or figurative clusters to some sort of edge or horizon. It is optative or promissory. Less than there could be on behalf of the more than enough. Would you be happy to think of poems such as 'Leaves of Field' as allegories – "phenomenological allegory of 'emergent dependence',' a post-metaphysical narrative of the rise of human consciousness on earth" as Robert P. Baird puts it in his review (Chicago Review). This is potentially a brittle ghosting, perhaps, though it could also point to the manner in which the particular poem is the creation of a concept. I’d rather my poems were read for allegories than travelled along as hedonistic textual galleries – the allegory at least keeps in view a sense of burden or otherness, not to speak of capture or obstruction. Better than the term ‘allegory’ would be the sense of bringing into play some sort of speculative problem or programme, as long as it is allowed that this always seeks an ontological resonance, or accepts the burden of that shift whether realisable or not. However, it wouldn’t help that much to read ‘Leaves of Field’ as a narrative of human consciousness so much as a set of variations on key dynamics arising within that consciousness (which are also implicated in the fate of that consciousness). But Robert Baird’s review was much more on the right track than not. My poems do have an ‘argument’ and they are trying to rework conceptual patterns or domain relations which make desire thoroughly internal to them. Baird ends his review by talking about sound, with the implication that if you give up on philosophy there's always the noise. I'd suggest that many of your sentences in the prose pieces carry the sound of precision, they carry a pattern of emphases, but with violent cuts (or cures?) running through mid-flow. The metaplasmic play (subsi-abides) is almost a kind of miniature argument in shadows. The cuts suggest to me an awkward series of juxtapositions – perhaps between field and history – brought out in a jolt, say, between assertoric and apodeictic propositions. I think Baird’s review was trying to help readers find a way in, and suggest that whatever else the work was it had a sensuous immediacy that was enough to be going on with. I would hold out for something more than that ‘going on’ but I’m happy that this should be where poetry (any) starts from. Quite recently I’ve become interested in Simon Jarvis’s work (both poetic and critical) and I’m impressed by his insistence that what poetry brings to truth is a sounding (even a blurting out) of truth, simultaneously insisting this is not mere packaging but radically internal to how any truth appears (mutilated) on the human scene. I agree that truth does appear from within the human body (and its rhythms), and also distends it, stretches it to scarcely supportable horizons which arouse in us a ‘grand poverty’ where truth assumes its fearsome intimacy lacking possessions but offering promise as part of that distension. My texts have the grain (or lumpiness at times) of an argument, a speculation, a ‘try-on’ but it is all material set to be distended, an extravagance loyal to promise. I nearly took out ‘subsi-abides’ as the tenor of the poem is that abiding hovers over as field and so projects root rather than being embedded; however, I was hoping readers would pick up the stronger echoes of ‘subsidise’ and ‘subsidence’ there rather than just ‘sub’. The ‘jolts’ you mention are on the way to internalisation, but given a scarcity of relation they don’t attain synthesis but cluster as radiant obstructions before an horizon – it is obstruction which projects and outgathers. What do you think of the appropriation of terms such as 'rhizome' as much-used concept-tools? To what extent would you consider such poems as 'Leaves of Field' to have worked in a level of found philosophy? Or a useful tradition of the loco-descriptive? I’m fascinated how key images might function in philosophy, words like ‘Holzweg’ or ‘rhizome’ or indeed ‘presence’ (however much that comes from Aristotle) – they seem set to provoke but don’t always further elaborate (they can get substituted for image-trails as in Derrida). Can they turn, fragment or re-coalesce? I think poetry is more intrepid at that, by letting images secrete or scarify what is around them, but kept always under burden. ‘Leaves of Field’ does have its own speculative energy but it’s not one that would ‘stand’ once it were formalised. At times (in other texts) I’ve played with rewriting or playing out key philosophical terms by shunting them tightly together until they take on almost topographic exactness, but the end-result is still turgid and I’ve usually scrapped them. Perhaps ‘Leaves of Field’ could be called ‘loco-speculative’ rather than ‘-descriptive’ but I see it as unable to sound at all until it finds itself in a landscape – though it might not know what or where that landscape is but it lives from a certainty of what it is for. As Charles Péguy put it: ‘It is innocence that grows and experience that wanes’ . A fullness that becomes scarce? Milbank argues that the ideas of nature and time allow political critique by a diversity of belonging; in your work there seems an ongoing struggle for a ramification of such free Milbankian strokes to show? What is it that grows? This is one of Milbank’s most amazing papers and focuses on an area (fairy tales and children’s literature) that he doesn’t usually cover. I don’t know that he would have much patience with my idea of scarcity (which in my work functions as the distinctively wounding and wounded presence of the sacral). He claims it is owing to a ‘plenitude at the origin [itself understood as radically, ie non-numerically, unified] that there should be multiple…mediators, some of whom can only be locally understood.’ (David Jones would have loved that). To which I would respond by speculating that that plenitude is in itself the active poverty of the numinous, which is mediated as less than the multiple, rather than beyond it – and this is not immanence but a transcendence which ‘lessens’ us in the sense of ‘elating’ us from within the midst of the burdens which we do affirm, as what we have to be made into across such a lightening of ourselves. But I value Milbank’s work for its idea of an asymmetrical participation of the finite in the infinite (as if finitude doesn’t just go on through time but gives-onto at the face of time, one might say). He is also very strong on gift (in the same paper) as the intersection of the real with the signifying, also of the historical with the fictional. Crucial to me recently has been his insight that, given that possibility arises only out of the actual, actuality isn't reduced to a fleeting instance of the possible. By actuality he must mean that gift of asymmetric participation. His reading of the grace/nature divide derives from Henri de Lubac: natural desire (for God) can’t be frustrated but can’t of itself be fulfilled either. Such a self-exceeding seems to require a gift, but it’s one (grace) which itself exceeds our categories of justice or requirement. My poetic take on that would be that we grasp grace in the scarce midst of the various all, a poverty of inclusion that overflows as the rareness offering embodiment. What ‘grows’ in my work of course is the persistence of a pastoral innocence, the refusal of any totality of demystification (just where innocence threatens to forsake our cultural horizons, but in fact stains them with a sort of enringing compression). Innocence is not for crossing out, but for anticipating where any ‘this side of’ traverses being on behalf of. Might I be justified in reading an ontological fanning into your "array of lesser differences" (intro to Terrain Seed Scarcity)? Yes. So long as the ‘lesser differences’ don’t congregate as armies of alterity, but sue for an admittance on the barest of terms, a pre-admittance which is promise within its duress of transition.